Answer: Hydrogen atoms in compounds such as H2 and H2O are joined to the molecule with covalent bonds. This is where electrons are shared between the atoms in order to fill there valence shells. As we mentioned before, hydrogen can only form one covalent bond because its 1s electron orbital holds a maximum of two electrons. Hydrogen can form either a polar covalent bond or a nonpolar covalent bond (want to know the difference? Click here). H2 (shown above) is an example of a nonpolar covalent bond (because there is no electronegativity difference between the two molecules). Water (shown below) contains polar covalent bonds because the oxygen has a greater electronegativity than the hydrogen atoms. Why can I not call this "hydrogen" bonding? Hydrogen bonding refers to a phenomena which occurs when an H is bonded to either nitrogen, oxygen or fluorine. 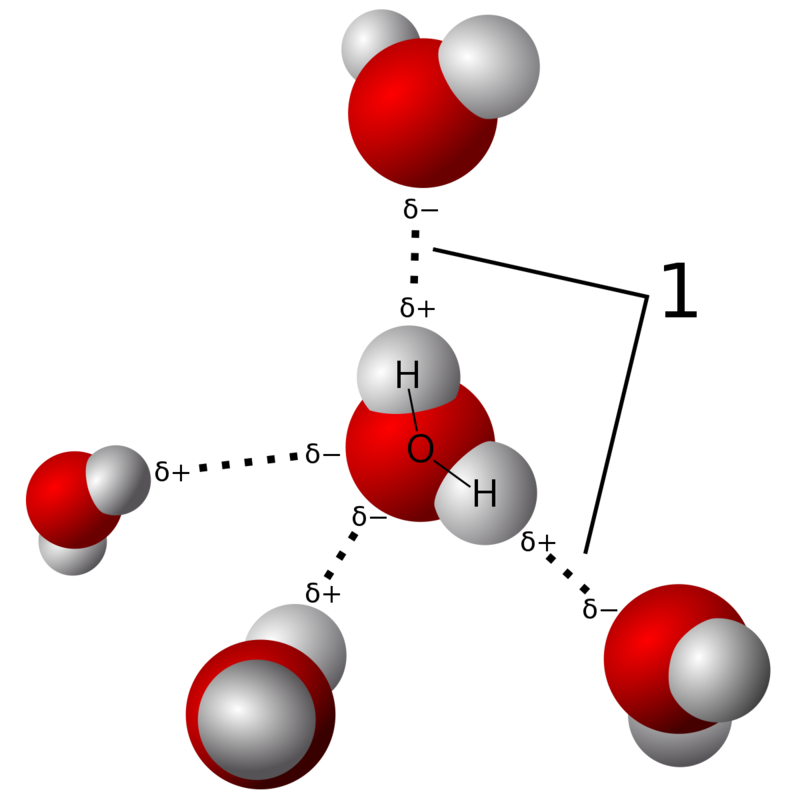 Water (shown above) is a molecule which can exhibit hydrogen bonding. Due to the large electronegativity difference, strong dipoles are created on either end of the molecule (as shown below). These can then attract one another and create substances with higher boiling points. Hydrogen bonding occurs between these dipoles and these so called "H-bonds" are actually not permanent bonds and can be broken quite easily. Covalent bonds are much stronger and are used to build the molecule itself. Hydrogen-bonding could not occur between two hydrogen atoms anyway because the hydrogen always has the partial positive charge. If the hydrogen's were to get close to one another, then these like charges would repel eachother. Therefore, hydrogen atoms are joined to themselves or other elements with covalent bonds.